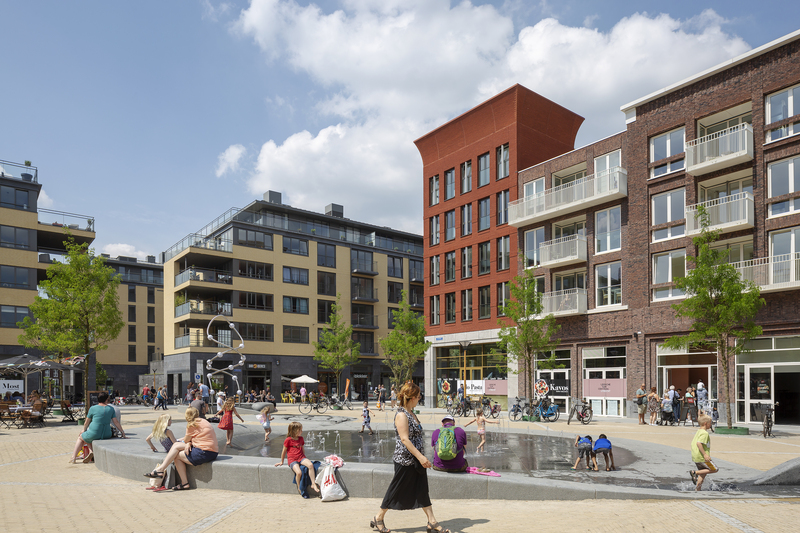 Leidsche Rijn Centre (Centrum) is located on the border of the Vinex housing estate Leidsche Rijn on the side of the historical city centre. 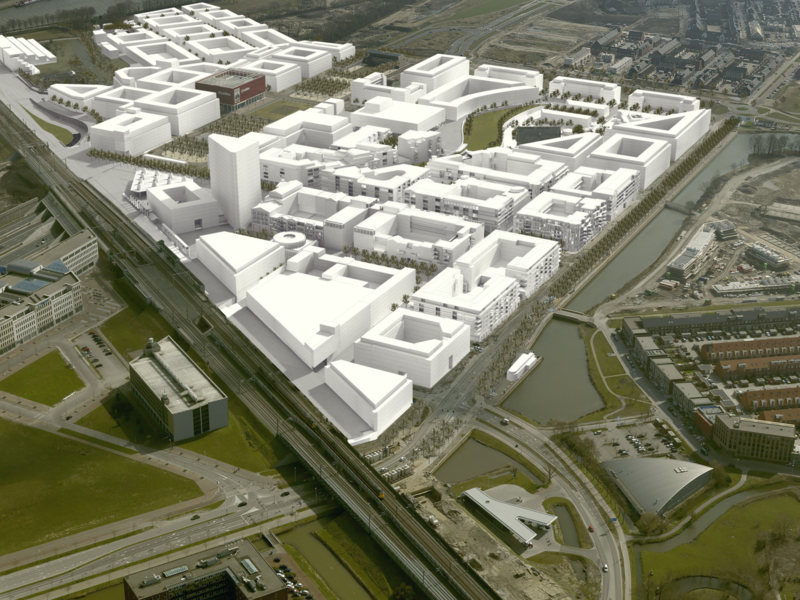 It constitutes the link between the new housing estates to the west of the A2 and the Amsterdam-Rhine Canal to the east, which runs north-south past the city centre. 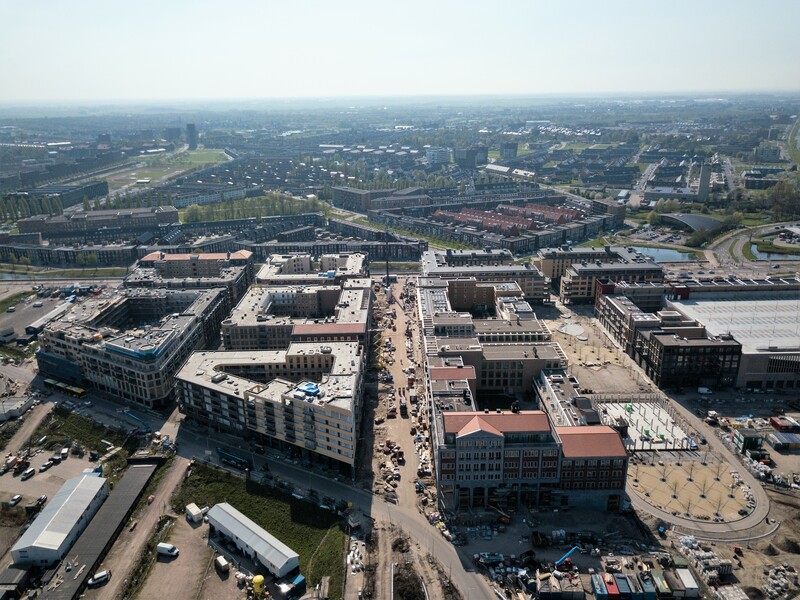 One of the ambitions in the Leidsche Rijn Centre master plan has been its pronounced urban character, which creates a contrast with the surrounding housing estates. The basis of this was established in the form of a grid pattern. 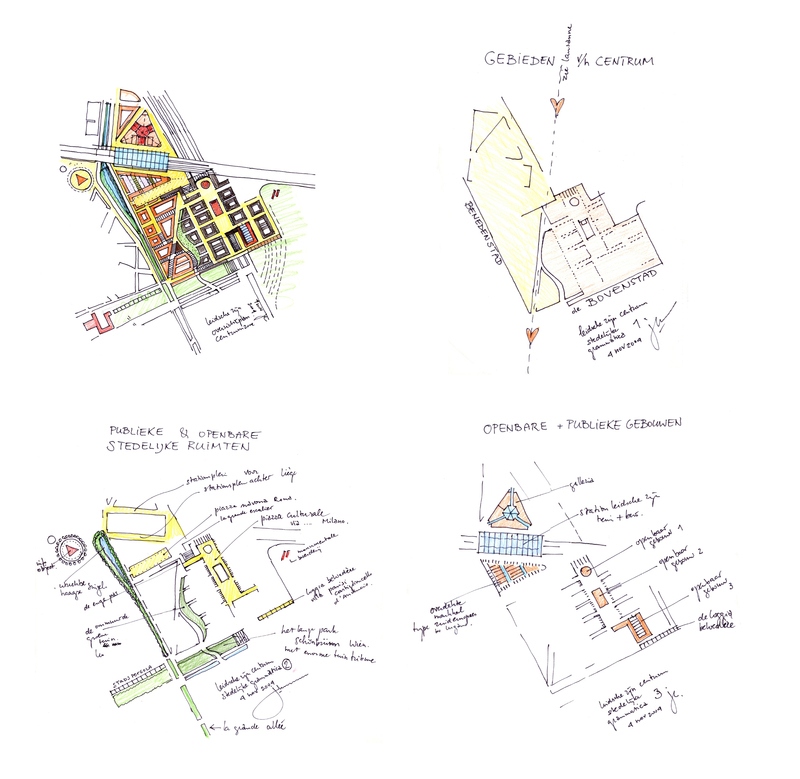 The urban character is expressed in relatively high, dense building development. 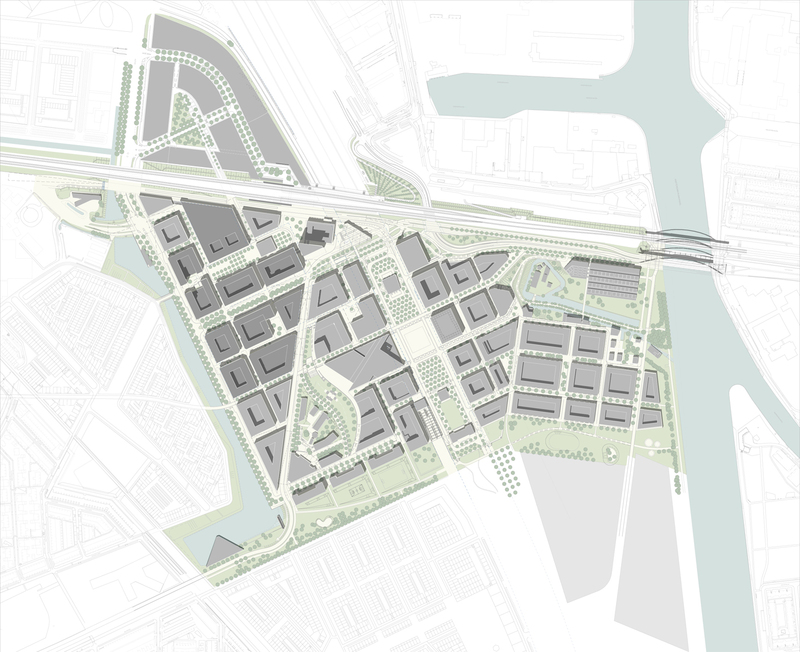 The centre is surrounded by landscaped, clearly delineated zones such as boulevards and parks. This clarifies the identity and recognisability of the Centre. 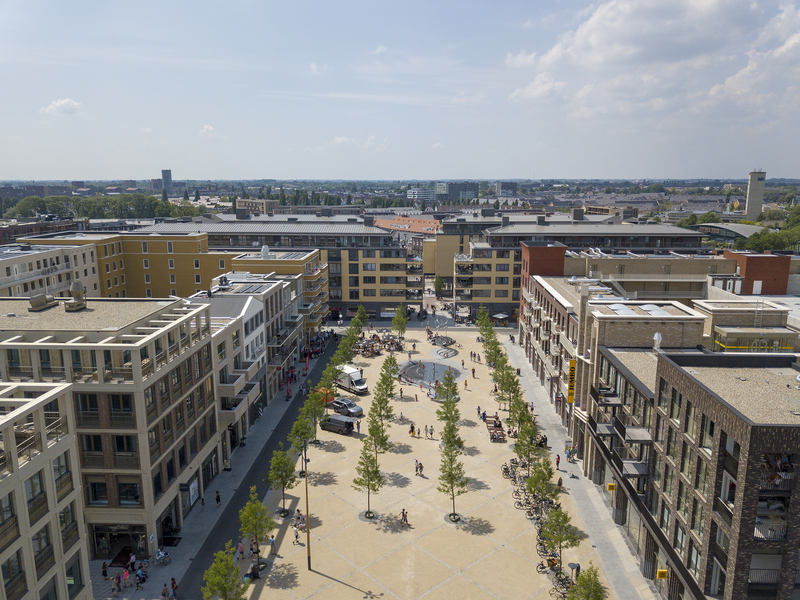 Three aspects make Leidsche Rijn Centre unique: its central location, its diversity and variation of functions, and its height differences. 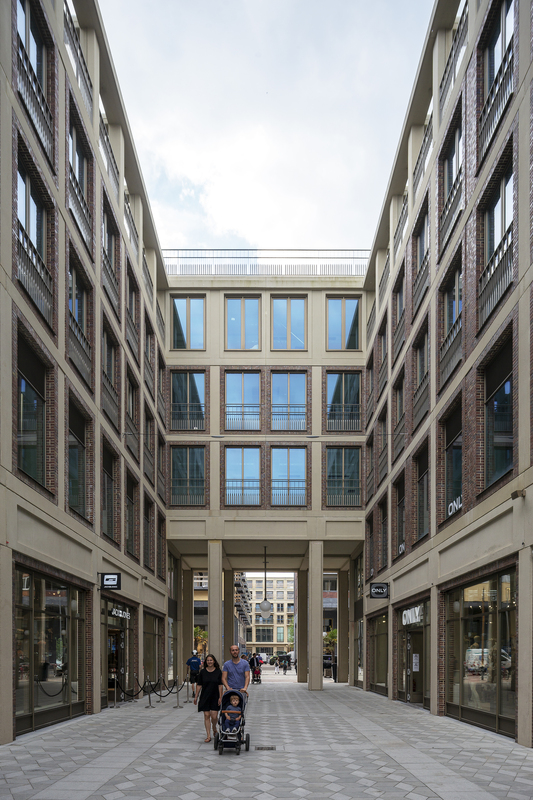 The composition of the town centre district builds on the tradition of the Western European city and consists of a public area that is, as it were, cut out of a mass of buildings of equal height: the centre consists of a network of public spaces with alternating atmospheres and experiences. 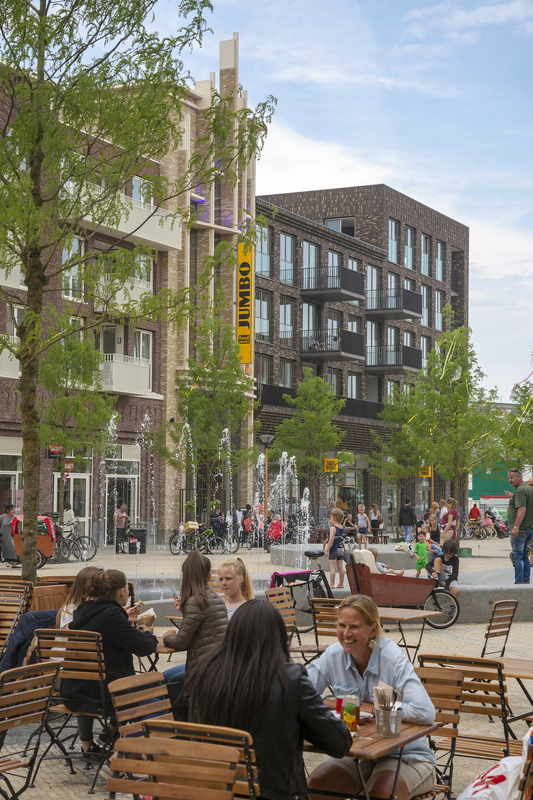 The squares and streets acquire their specific significance through their dimensions, layout and intended use, such as the ‘Stadsplein’ (Town Square), the ‘Stadstuin’ (Town Gardens) and the ‘Singel’ (Boulevard). Accents in building height and differentiation in the programme contribute to this. The average building height in the centre is five to seven storeys. The gradually increasing ground level plays a crucial role in the character of this district. 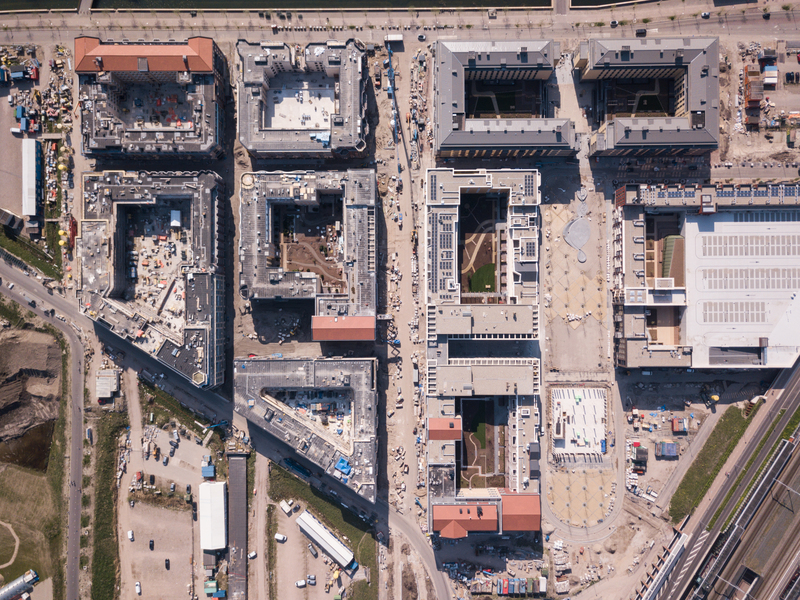 The difference in height in ground level is a major characteristic of the Centre. 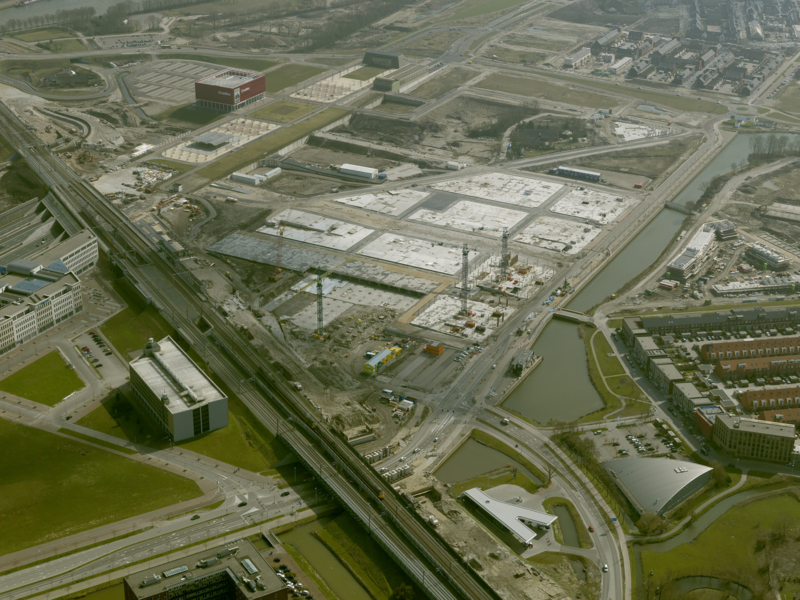 In order to create a link in Leidsche Rijn Centre from the boulevard to the A2 tunnel, a height difference of 7 metres will have to be bridged. This will create a lower-lying district and a higher-lying district. This difference in height will be used to establish the identity of the town. The transitions between these areas will mostly be in the form of gradually sloping streets. At certain points, there will be contrast, creating special places. The project will result in a variety of special elements that are notable for their careful detailing and integration. Through-traffic will be smooth-flowing for car, bus, bicycle and the disabled, as exemplified in the elevation in the ‘Petit Boulevard’ and the ‘Diagonaal’. 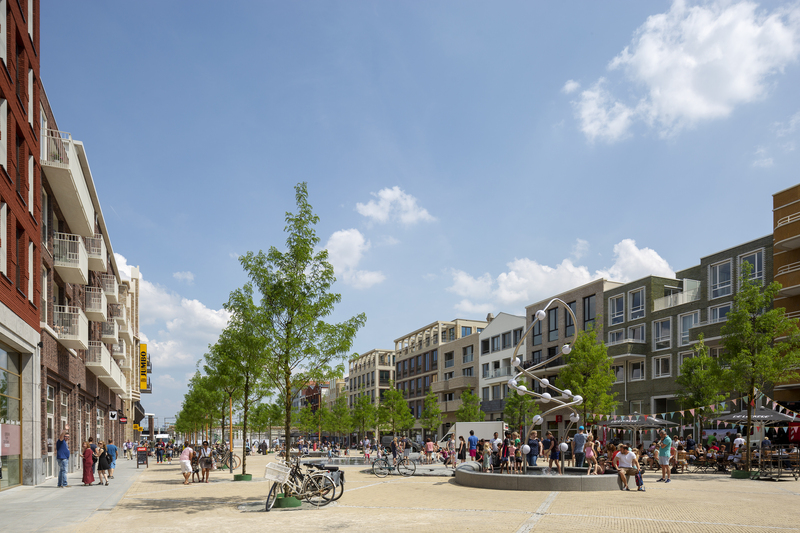 At a number of points, such as the street adjoining the Singel and at the ‘Stadstuin’, these height transitions are richer in contrast, with steps. These elements, such as revetments, steps, ramps, etc. derive their strength from their mutual cohesion and their connection to the surrounding buildings.